In April, the U.S. Environmental Protection Agency released proposed rules that have the potential to slow—if not reverse—America’s fragile economic recovery. The proposed rules redefine the term “water” in the Clean Water Act, fundamentally changing the intent of the act while dramatically expanding the EPA’s jurisdiction and control over untold bodies of water in the United States and subjecting them to further regulation. Previously, the definition of water was generally defined as navigable waters—and waters closely associated with them. These waters were important for commerce and transportation of America’s goods and people. The new definition of water, however, removes “navigable” and adds “other waters” that may have a “significant nexus” to waters already under EPA’s jurisdiction. 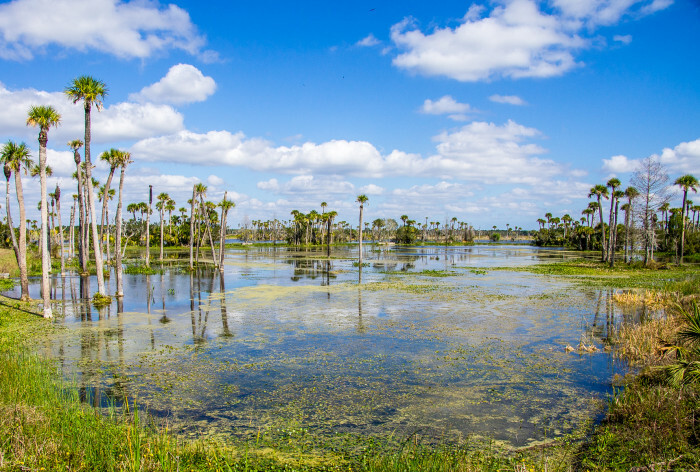 In addition, the proposed definition, includes terms which would expand federal jurisdiction to isolated wetlands far removed from any navigable water and even captures many shallow ditches and ponds that only occasionally hold any water at all. As you can imagine, with our unique topography and hydrological makeup, Florida stands to suffer more than any other state by this expansion of federal government authority. Think about how many parts of Florida are occasionally or seasonally wet, especially in agriculture—Florida’s second largest industry. Millions of acres of the Florida landscape will fall under federal jurisdiction if the rule as drafted goes into effect. Landowners such as developers, foresters, farmers, and industrial dischargers will be subject to new and increased regulations. If the proposed changes go into effect, every one of these landowners will be required to obtain a permit from the Army Corps of Engineers to build the simplest of structures. This puts the future of Florida’s businesses at the mercy of the federal government and on the timeline of the Army Corps of Engineers. And neither are shining examples of efficiency or common sense. This is the most significant expansion of federal government regulation on Florida in a quarter of a century, and one that is not based on sound science and has not been adequately studied. And it will be a drain on our state’s economy at a time when we have just recovered from the financial crisis and Great Recession. Even members of Congress—who can rarely come together on an issue—have partnered to fight this crippling overreach. More than half of the members of the U.S. House of Representatives have called for the proposed rule to be repealed, and 84 organizations representing farmers and ranchers across the country endorsed their letter calling on the rule to be withdrawn. Despite the chorus of objections, the EPA intends to finalize this rule before the end of the president’s term. For the sake of Florida agriculture, and Florida’s economy in general, we must work together to convince the EPA to ditch the rule.